You have a lot of drains in your house; your showers and tubs, your sinks, your toilets. That means a lot of opportunities for a clogged drain or sewer. A Apex plumbing issue like a clogged sink or drain can impact your whole family’s daily routine and schedule. Don’t suffer from the inconvenience that drains and sewers can cause. 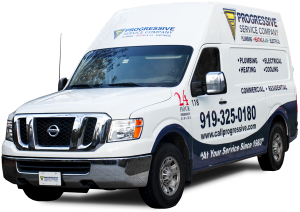 At Progressive, our Apex plumbers use cutting-edge technology designed to blast away clogs and fix troublesome leaks. Drain and sewer issues won’t leave your plumbing out of commission anymore. With our 100% satisfaction guarantee, you’ll rest assured knowing that our experienced technicians will take care of your drain or sewer repair is getting done right the first time. Hydro-Jetting – We use high-velocity water pressure to blast away accumulated scale, silt, and grease buildup inside of your pipes. At 3,800 psi, this method powers through tough obstructions and covers every inch to flush out debris, giving you clean pipes. Video Inspection – Video inspections allow us to see inside your piping, allowing our experienced plumbers can make an accurate and verifiable diagnosis. Rooter Services – Our rooter machines “root” or snake their way through your pipes with attached blades that dislodge the buildup from grease, soap, tree roots, or foreign particles. Long enough to clean out residential or commercial pipes. The rooter is also quiet enough not to disrupt your daily activities around the house. Don’t let a clogged drain ruin your day. Progressive takes pride in being your hometown team. Day or night, our Apex plumbers will be there quickly and making sure the job is done right the first time. We’ll keep your drains and septic systems clean and working properly. Contact us with any questions or concerns you have about your drain or sewer. We offer flat rate pricing and no overtime charges on weekends for residential plumbing.